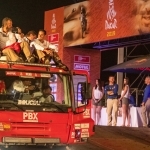 Compilation of the best moments lived by the rally Dakar Trucks of the PBX Dakar Team. 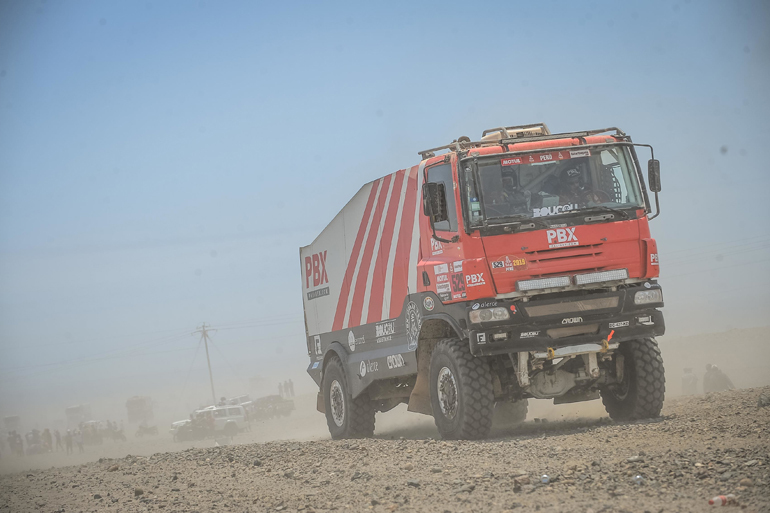 The Palibex Rally Dakar Trucks Team has fulfilled its objective of reaching Lima, standing out because of its positive attitude and solidarity with the rest of the participants in the Dakar Rally. 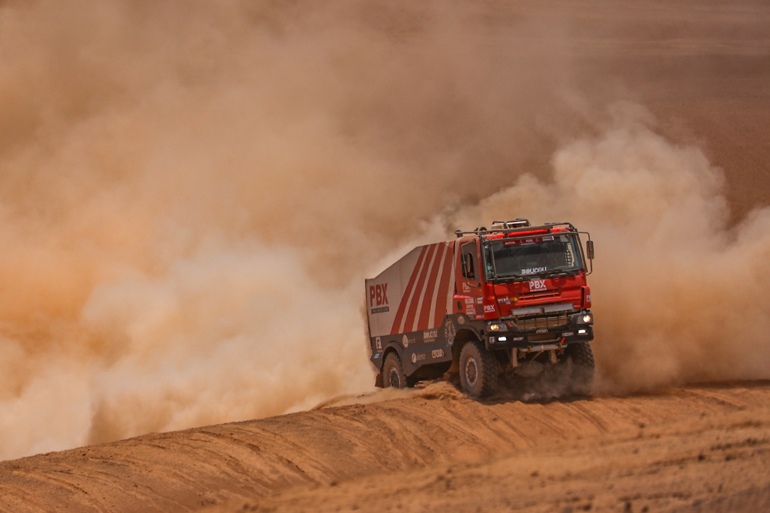 The help and logistical support provided by the PBX Dakar Team trucks has been very important as there have been numerous overturns throughout the race and the vehicles often got stuck in the sand. Proof of this is that only half of the participants managed to finish. The truth is that this edition of the Dakar has been very different from others. It was the first time that the rally was run entirely in a single country and it also has been the shortest edition in history, both in days and in kilometres covered. In addition, for the first time there were stages in a loop, which is, that they start and finish at the same point. The navigation was more complicated than on other occasions because of the dangers hidden in the Peruvian dunes. The two rally dakar trucks of the Palibex Team, a 6X6 and a 4X4, have capsized along the route. The MAN piloted by Jordi Ginestá fell over an embankment during the first stage of the rally, suffering serious damage that did not prevent him from continuing in the race. For its part, the 4X4 truck capsized during the sixth stage and its pilot, Jordi Celma, had to be evacuated to the hospital because he suffered a heavy blow in the back. Once the competition was over, the Team thanked Palibex, Llerandi, Crown, Fieldeas and Alerce, co-sponsors of the PBX Dakar Team. They also had a souvenir for the workers and collaborators of the company for the signs of affection received through social networks. Finally, they recognised the team manager, Juan López, for his empathy and collaboration with the rest of the participants, as well as for his work as a chronicler of Dakar 2019 through the blog and the YouTube channel in which he recounted his daily experiences on the 2019 Dakar Rally. Click here if you would like to watch the video with the best images of the PBX Dakar Team.